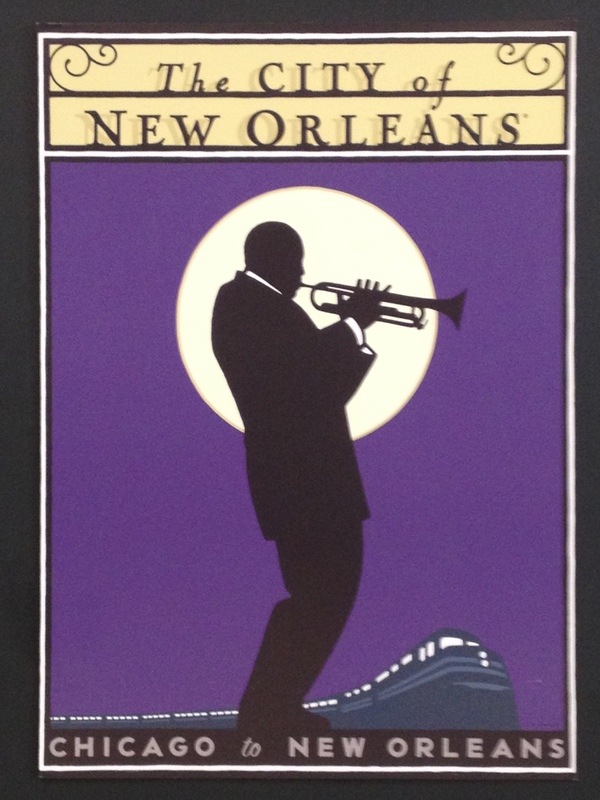 I rejoined the City of New Orleans train in Memphis for a pleasant day-time journey down to the Mississippi delta. In the mountainous regions of the Washington Cascades and Glacier Park the train tracks tend to follow water courses, as the water is most likely to have found the most efficient path through the mountains as well as creating or following a relatively level terrain through valleys. Along the Mississippi this is not the case. The river has changed course over the years and although I have not researched this in detail, the borders of the state of Mississippi with Arkansas and Louisiana are very curved, as if following a river, however do not always follow the current position of the Mississippi. We travelled past corn and sugar cane fields as well as lots of swamp and over tributaries to the Mississippi and the Achtafalaya. Some of the swamp land was dense and overgrown, in other areas there were wide open spaces and pools of water so still you could see the clouds reflected in them.